The Executive Committee (“ExCo”) includes representatives from corporate management and our international offices. Biographical details of the ExCo are set out below. Paul Algreen is Chief Information Officer at Janus Henderson Investors, a position he has held since 2017. He is also a member of the Janus Henderson Executive Committee. Prior to this, Mr. Algreen was senior vice president, chief information officer at Janus from 2016. Before rejoining Janus in 2016, Mr. Algreen was chief technology officer and managing director for Markit Group, where he was responsible for overseeing all technical aspects of the Markit On Demand division. Previously, Mr. Algreen served as a Janus global macro fixed income trader and vice president of investment technology. Earlier in his career, he spent 10 years as a trader, portfolio manager and leader of the technology and analytics group as the chief technology officer for III Associates, a fixed income hedge fund founded in 1982. Prior to III Associates, Mr. Algreen held director and C-suite level positions at various technology companies. Mr. Algreen holds a degree in aeronautical and astronautical engineering from MIT and a CIO Pocket Executive MBA from Boston University School of Management. He is a member of the Institutional Investor Financial Technology Forum, where he served on the senior advisory board from 2012 to 2014. Mr. Algreen has 16 years of financial industry experience. Enrique Chang is Global Chief Investment Officer at Janus Henderson Investors, a position he has held since 2017. Prior to this, Mr. Chang was president, head of investments. In his current role, he leads Janus Henderson’s global investment team. Mr. Chang is also a Portfolio Manager on the Janus Henderson Global Allocation strategies and a member of the Janus Henderson Executive Committee. He previously served as chief investment officer and executive vice president for American Century Investments. Mr. Chang joined American Century in 2006 and was named CIO in January 2007. Additionally, he was a director of the corporate board. Mr. Chang was also a member of the firm’s asset allocation committee and investment management senior leadership team. He previously was the CIO responsible for global and non-U.S. equity. Before American Century, Mr. Chang was president and chief investment officer for Munder Capital Management. Earlier in his career, he held a number of senior investment management positions at Vantage Global Advisor, J&W Seligman and Co. and General Reinsurance Corp.
Mr. Chang earned a bachelor of arts degree in mathematics from Fairleigh Dickinson University and an MBA in finance/quantitative analysis and an MS in statistics and operations research from New York University. He has 31 years of financial industry experience. Alex Crooke is Co-Head of Equities – EMEA and Asia Pacific at Janus Henderson Investors, a position he has held since 2018. Mr. Crooke is responsible for equities in the EMEA and APAC regions and is a Portfolio Manager for the Global Equity Income and Global Dividend & Income strategies as well as a number of UK and Australian funds and investment trusts. In addition, he is a member of the Janus Henderson Executive Committee. Previously, he was head of Global Equity Income and Specialist Equities Teams from 2013. 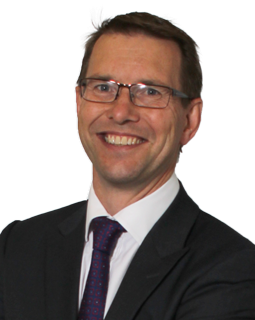 Mr. Crooke was recruited by Henderson to co-manage the UK assets of an investment trust in 1994 as an associate director. He later became a fund manager responsible for a number of UK and global income-oriented equity products. 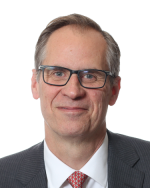 Mr. Crooke began his investment career with Equitable Life Assurance Society in 1990 as a U.S. investment analyst. Mr. Crooke holds a BSc degree (Hons) in physics and astrophysics from Manchester University. He is an associate member of the Society of Investment Professionals (ASIP) and has 29 years of financial industry experience. Drew Elder is Co-Head of Global Distribution at Janus Henderson Investors, a position he has held since 2018. He is also a member of the Janus Henderson Executive Committee and Chairman of the Senior Leadership Group. In his current role, Mr. Elder oversees Janus Henderson’s North America distribution efforts, including intermediary sales encompassing relationships with and products sold through financial advisors, insurance companies and retirement platforms. Additionally, he oversees Janus Henderson’s North America institutional business and the firm’s North America marketing function. Mr. Elder serves as President of Janus Henderson Distributors, sits on the board of directors of Perkins Investment Management LLC and is a trustee for the Detroit Street and Clayton Street Trusts. He is also a member of the ICI Salesforce marketing committee. Previously, Mr. Elder was head of U.S. intermediary distribution, a position he had held since 2014. Since joining Janus in April 2007, Mr. Elder has held various leadership positions within the marketing and distribution organizations, including overseeing national accounts and global product management and development, where he was responsible for product messaging, positioning, new product strategy, pricing and product customization. Prior to Janus, he served as managing director of product management and development at Putnam Investments, a position he held for eight years. Before that, he spent three years as a portfolio analyst with Fidelity Investments, four years in institutional fixed income sales with Hanifen, Imhoff Inc. and one year as a business reporter for the Denver Post. Mr. Elder received his bachelor of arts degree in economics from the University of Kansas. He holds the Chartered Financial Analyst designation and has 26 years of financial industry experience. Graham Foggin is Head of Operations at Janus Henderson Investors, a position he has held since 2017. His responsibilities include fund administration, investment operations, distribution operations, portfolio operations and performance measurement. Mr. Foggin is also a member of the Janus Henderson Executive Committee. He joined Henderson in 2002 as director of operations and became head of operations in 2016. Prior to Henderson, he was head of operations with Govett Investment Management from 1995 to 2002. He was with Fidelity in 1995 and began his career with PWC in 1987. Mr. Foggin has a BSc degree (Hons) from Loughborough University. He is a qualified Chartered Accountant and has 32 years of financial industry experience. Georgina Fogo is Chief Risk Officer at Janus Henderson Investors, a position she has held since joining the firm in 2018. She is responsible for the Global Risk and Compliance functions. Ms. Fogo reports to the CEO and is a member of the Executive Committee. 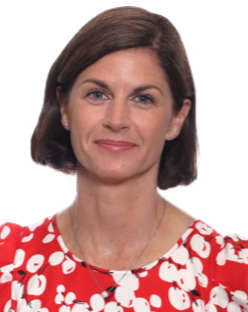 She came to Janus Henderson from BlackRock, where she served in various roles since 2009, most recently as managing director and global chief compliance officer from 2015. Prior to that, she had numerous positions with Barclays Global Investors Limited (BGI) from 2002, the last being principal, head of product advisory compliance based in San Francisco. Earlier, she was with Merrill Lynch Investment Managers in various roles from 1998. She began her career in 1997 with Merrill Lynch Investment Bank as an equity sales assistant. Ms. Fogo received a BA degree in history and political science and an MA (Hons) in political science from the University of Auckland, New Zealand. She holds the Investment Management Certificate (IMC) and has 22 years of financial industry experience. Michael C. Ho is Global Head of Multi-Asset and Alternatives at Janus Henderson Investors, a position he held since 2018. In this role, Dr. Ho is responsible for and oversees the firm's Asset Allocation, Multi-Strategy and Alternatives Teams worldwide. He is also a member of the Janus Henderson Executive Committee. Dr. Ho previously was chief investment officer of investment solutions at UBS Asset Management in London from 2017. Before UBS, he was chief investment officer, senior managing director and portfolio manager for alternatives, global macro and active emerging market equities at State Street Global Advisors from 2012. Dr. Ho spent 10 years during two different time periods at Mellon Capital Management managing various investment teams and was chief investment officer for the firm. He began his career in 1993 with Stanford Management Company. Dr. Ho received a BSc degree in electrical engineering from the University of California - Los Angeles and an MSc and a Ph.D. in management science and engineering, both from Stanford University. He has 26 years of financial industry experience. 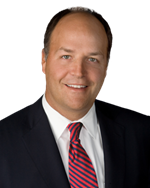 Bruce Koepfgen is Executive Vice President, Head of North America at Janus Henderson Investors. Mr. Koepfgen has served in this role since 2017. He is also President and Chief Executive Officer of Janus Investment Fund, Janus Aspen Series, Janus Detroit Street Trust and Clayton Street Trust. He is a member of the Board of Directors of Intech and the Board of Managers of Perkins Investment Management LLC, both of which are subsidiaries of Janus Henderson. He joined Janus in 2011 as executive vice president and moved into the position of chief financial officer in 2011 until he became president of Janus Capital Group in 2013. In his current role, he serves as a member of the Janus Henderson Executive Committee and works with senior leaders to advance the interests of the firm’s clients, shareholders and employees. Prior to joining Janus Henderson, Mr. Koepfgen was co-CEO of Allianz Global Investors Management Partners and CEO of Oppenheimer Capital from 2003 to 2009. From 2010 to 2011, he was a director of the Mortgage Guaranty Insurance Corporation and a director of Thermo Fisher Scientific from 2005 to 2008. He was president and principal of Koepfgen Company LLC, a management consulting organization, from 1999 to 2003. Earlier, he was a managing director of Salomon Brothers Inc., where he held various positions from 1976 to 1999. 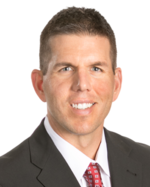 Mr. Koepfgen earned a bachelor of science in business administration degree from the University of Michigan and an MBA from Northwestern University, Kellogg School of Management. He has 43 years of financial industry experience. Tiphani Krueger is Co-Head of Human Resources at Janus Henderson Investors, a position she has held since 2017. She is also a member of the Janus Henderson Executive Committee and Diversity and Inclusion Steering Committee. Before this, Ms. Krueger was Janus’ executive vice president and global head of human resources from 2006. 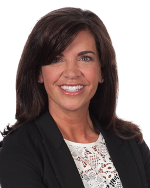 Ms. Krueger acts as a strategic partner to the firm and is responsible for driving business results through the engagement, development and retention of its employees. She is also a member of the Janus Henderson Senior Leadership Group and Ethics and Conflicts committee and is President of the Janus Henderson Foundation board. Prior to Janus, Ms. Krueger was human resources director for six years at Level 3 Communications, where she led a variety of human capital initiatives. Earlier in her career, she spent three years at PricewaterhouseCoopers focused on human resources and recruiting. Ms. Krueger received a bachelor of arts degree in sociology with a minor in psychology and human relations from the University of Iowa. She has 16 years of financial industry experience. 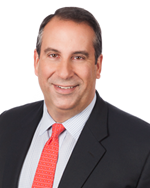 George P. Maris is Co-Head of Equities – Americas at Janus Henderson Investors, a position he has held since 2018. Mr. Maris is responsible for leading the equity division in the Americas region and is also the lead Portfolio Manager for the Overseas strategy and the Global Alpha Equity strategy, which includes the Global Select products. 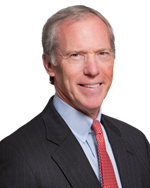 In addition, Mr. Maris serves on the Janus Henderson Executive Committee, the North American Leadership Team and the Perkins Investment Management Executive Board and was previously a member of Janus’ operating and ethics committees. Mr. Maris came to Janus in 2011 as a portfolio manager from Northern Trust, where he managed the U.S. large-cap core, international large-cap core and global equity strategies. Prior to joining Northern Trust in 2008, Mr. Maris spent four years as a portfolio manager at Columbia Management Group co-managing the firm’s U.S. large- and mid-cap core portfolios. From 1999 to 2004, he was a member of the investment team at Putnam Investments, serving as a portfolio manager, equity analyst and derivatives strategist in Putnam’s Value Group and working on domestic, international and global equity strategies. He was a guest lecturer on security analysis at MIT’s Sloan School of Management from 2003 to 2005. Mr. Maris received his bachelor of arts degree in economics from Swarthmore College. He also earned an MBA from the University of Chicago and a juris doctorate from the University of Illinois. Mr. Maris holds the Chartered Financial Analyst designation and has 21 years of financial industry experience. Kathleen Reeves is Co-Head of Human Resources at Janus Henderson Investors, a position she has held since 2017. Ms. Reeves is also a member of the Janus Henderson Executive Committee. Before this, she was Henderson’s global head of human resources from late 2014. Prior to Henderson, Ms. Reeves was interim head of UK people function services at KPMG beginning in early 2014. Earlier, she worked at ICAP plc for two years as global head of human resources. She spent six years, from 2005, as human resources director at the Financial Services Authority (FSA) and was a member of the executive committee. Ms. Reeves was with Royal Bank of Scotland from 2002 as human resources director for the insurance business. From 1994 to 2000, she worked for American Express in various roles, most recently as global head of human resources in New York for the card marketing and distribution business. She began her career in human resources at Steelcase Strafor. Ms. Reeves received an MSc in personnel management from the University of Aston in Birmingham and an MA in French and Italian from the University of Glasgow. 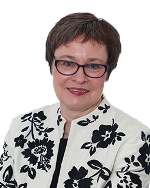 Michelle Rosenberg is General Counsel and Company Secretary of Janus Henderson Investors, a position she has held since 2018. Previously, she was senior vice president, head of legal, North America since 2017. Before this, Ms. Rosenberg was deputy general counsel of Janus Capital Group. In her current role, she is responsible for global oversight of the legal and internal audit teams. She represents Janus Henderson with global regulators and industry groups and serves on a number of management committees, including Janus Henderson’s Executive Committee, North America Leadership Team and the 401(k) advisory committee for Janus Henderson’s 401(k) and employee stock ownership plan. 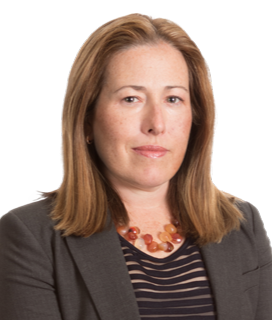 Prior to Janus Henderson, Ms. Rosenberg worked at Fidelity Management & Research Company, where she supported various legal initiatives, particularly investment advisory and investment company issues, during her tenure. Ms. Rosenberg received a bachelor of arts degree from Bates College and a juris doctorate from the University of Florida, Levin College of Law. She has 21 years of financial industry experience. Roger Thompson is Chief Financial Officer at Janus Henderson Investors, a position he has held since 2013. He is also a member of the Executive Committee. 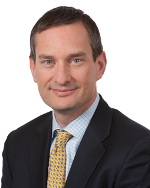 Mr. Thompson joined Henderson from J.P. Morgan Asset Management, where most recently he was global chief operating officer; previously, he was head of UK and prior to that was international CFO. Mr. Thompson had a broad range of roles at J.P. Morgan and worked in Tokyo, Singapore and Hong Kong. He trained as an accountant with PricewaterhouseCoopers. Mr. Thompson graduated with a BA degree (Hons) in accountancy and economics from Exeter University. He is a chartered accountant and has 27 years of financial industry experience.